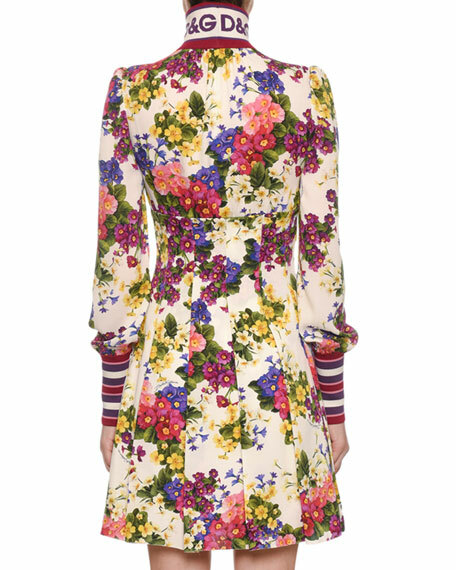 Dolce & Gabbana floral-print jersey dress. Mock turtleneck in logo-intarsia knit. Long sleeves; striped ribbed cuffs. 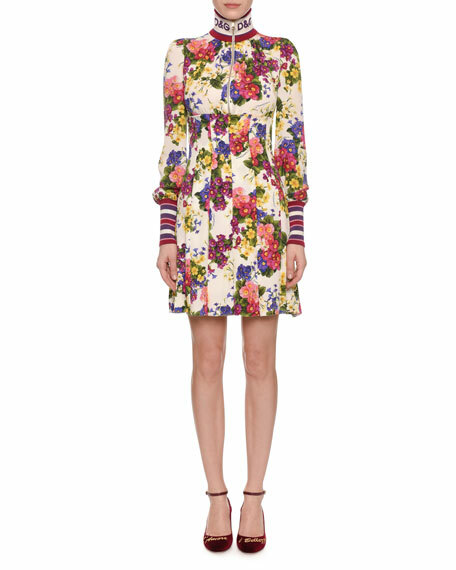 For in-store inquiries, use sku #2634072.